According to the Occupational Safety and Health Administration (OSHA), approximately 2 million people are the victim of some type of workplace violence each year. This can range from verbal abuse, physical assaults to homicides and continues to be a growing concern for employers each year. There is no foolproof way to ensure that you or your employees will not become a victim of workplace violence; however, you can put measures in place to minimize these threats and lessen the impact from the event. First, all employers should have a policy in place that expresses that any form of harassment or violence will not be tolerated. Ensure that all employees understand the policy as well as the actions necessary if they are the victim of a workplace violence incident. Employers also need to be vigilant with stopping any perceived harassment or bullying as these can escalate to violence if left unchecked. In addition, employers need to be prepared to support the remaining staff and in many cases their families, since these incidents cause a loss of morale and security. This preparation should also include mitigating the loss of productivity of the employees affected. The Department of Labor reports that the adverse impact on employers is wide-ranging and can include; absence of skilled employees, psychological damage, property damage, theft, sabotage, productivity impediments, diversion of management resources and increases in security costs, personnel costs and worker’s compensation costs. Both employers and employees should be aware of the early warning signs associated with workplace violence which includes; being intimidating, disrespectful, uncooperative or verbally abusive. Any of these types of behavior should be immediately reported to the company’s human resources representative for investigation. Managers need to monitor their employees who have recently experienced loss, are depressed or bereaved for early warning signs, as they need to be supported emotionally. Employee assistance programs (EAP) are the best way for employers to manage this, as it provides the needed support to the employee while maintaining their confidentiality. In addition, the EAP representative can be alerted to screen for a threat of violence if there is concern for this. Lastly, if there is workplace violence incident, it is important to provide counseling services to those affected and to investigate the incident thoroughly looking for any missed warning signs and put in place corrective actions when appropriate. Kevin Hayford is responsible for all human resource management, human capital planning, training, network recruiting, and marketing initiatives; providing strategic leadership experience to enhance business performance through talent management and business development. Before joining R3 Continuum, Kevin held the position of Vice President, HR & Administration, at Sullivan International Group in San Diego, California, where he spent 16 years building and leading multiple departments throughout that time-frame, Human Resources, Operations, Marketing, Quality, Finance, Health & Safety as well as managing 15 multi-million-dollar complex consulting projects. 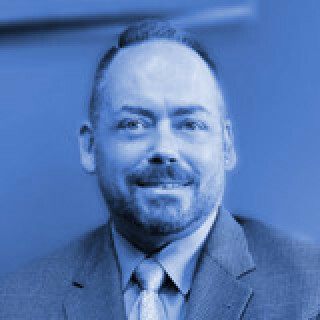 His human resource management and development knowledge spans over 25 years and includes in-depth experience in the professional services industries, government contracting, hospital and clinical healthcare settings, and non-profit organizations. Kevin has a passion for building cross-functional and engaged teams in a diverse, fast-paced environment, with a focus on meaningful and value-driven strategic goals. Kevin studied Health and Medical Administration at Kaplan College, formerly Maric College in San Diego, California and is a Senior Certified Professional through the Society of Human Resource Management (SHRM-SCP).